Christmas Fireplace 3D Screensaver is the newest jewel of a screensaver that has been created by the patient hands of artists at EyeCatchingScreens.com. 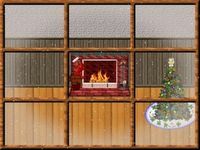 Christmas Fireplace 3D Screensaver lets you unwind to the magic of the holiday coming up to life on your desktop right before your eyes. You will immerse into the peace and quiet of the dimly-lit library with a burning log in the fireplace, the Christmas tree with wreaths and festive colored lights, whose happy reflections shine on the walls. Pretty boxes with presents from Santa Claus are waiting for the good boys and girls, who behaved well this year. The tune of the Christmas song adds more excitement to the scene. Similar to all screensavers from EyeCatchingScreens.com, Christmas Fireplace is visually unique. 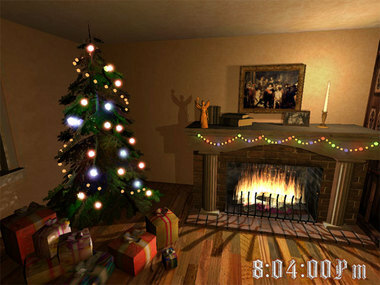 The Christmas scene is displayed in 3D from a first-person perspective from different camera angles, which gives the screensaver an immersive, almost cinematic effect. The virtual world is so realistic that you can smell the ever-green. The trick of the screensaver is a framed photo on the mantel-piece, which can be your own photo, the photo of your loved one, or anyone else. This photo gives a personal touch to the digital realm behind the screen. Christmas Fireplace 3D Screensaver is configurable with such options as screen resolution, gamma control and sound control. You can insert a photo to be displayed in the screensaver. 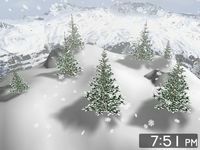 The screensaver has a digital clock placed in the lower-right area of the screen. 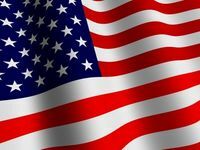 It displays time in the 12/24-hour format.